Logan K. submitted this photo and caption. I marched the Crossmen in summer of 2009. I was opening gifts on Christmas morning and unwrapped this custom nutcracker that my mom made. 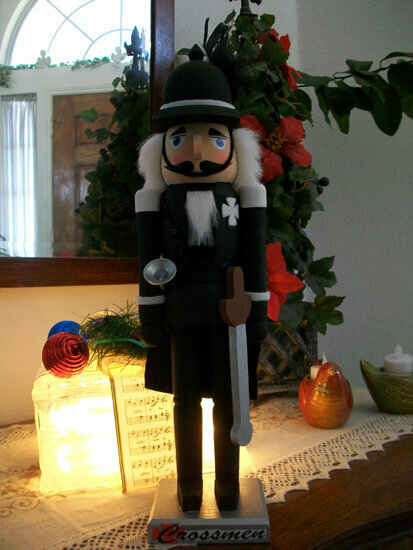 We collect nutcrackers and i guarantee this one will be front and center every year we set up the collection.